What's it like to be a graduate in Greece contemplating the future? Chloe Hadjimatheou reports for Assignment on the prospects for new graduates in Athens who are at the start of their working lives. 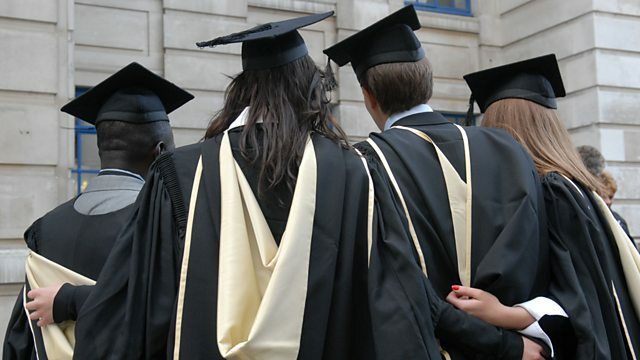 What's it like to be a graduate in Greece contemplating the future? More than half of young people are unemployed and those who can are packing their bags to start new lives abroad, taking their skills and education with them. Those left behind find themselves locked into a situation without jobs, without hope, and with little support from the state. Chloe Hadjimatheou reports for Assignment on the prospects for new graduates in Athens who are at the start of their working lives.